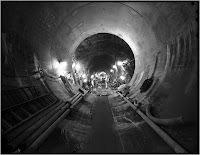 I spent last evening with several dozen residents who have been plagued by the continual leaking NYC tunnel that runs near their homes. My heart goes out to all of them who are faced dealing with “life’s leaks” on top of raising families, running households and making a living. It is nice that the DEP Commissioner finally and publicly admitted the culpability of his agency but that still does not resolve the problems that the home owners are faced with. I feel the frustration of those folks in Wawarsing who return home to deal daily with flooded homes, mold infested basements and swamped properties. 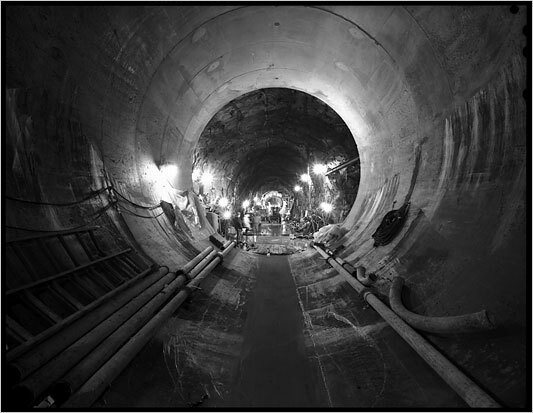 Let's put their needs first and address the tunnel repairs once we have helped the homeowners. GARDINER – Minnewaska State Park Preserve, Mohonk Preserve and Sam’s Point Preserve contribute $12.3 million to the local economy, according to a study released Tuesday. Business Opportunities Management Consulting of Rensselaer conducted the study for the three attractions and found they have over 392,000 visitors among them who spend over $13 million annually and support 350 local jobs. Annual local sales taxes from the three amount to $459,000. 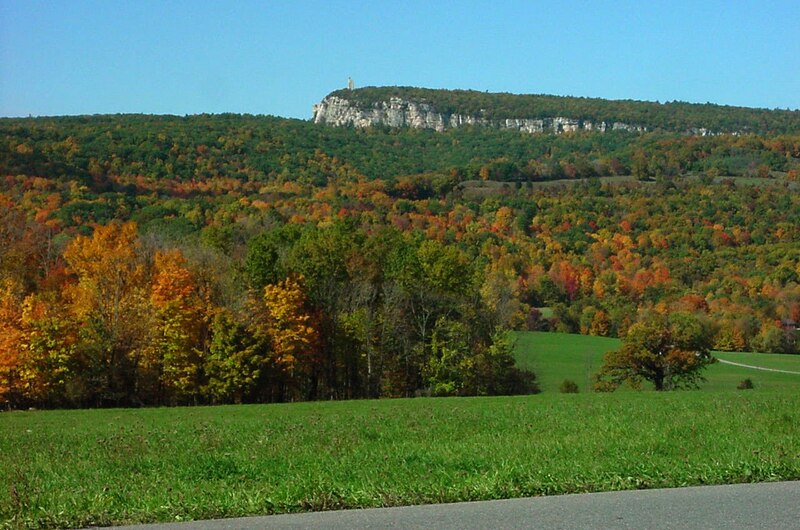 The three GUNKS attractions are but a small portion of Ulster County’s tourism economic generator, said County Executive Michael Hein. 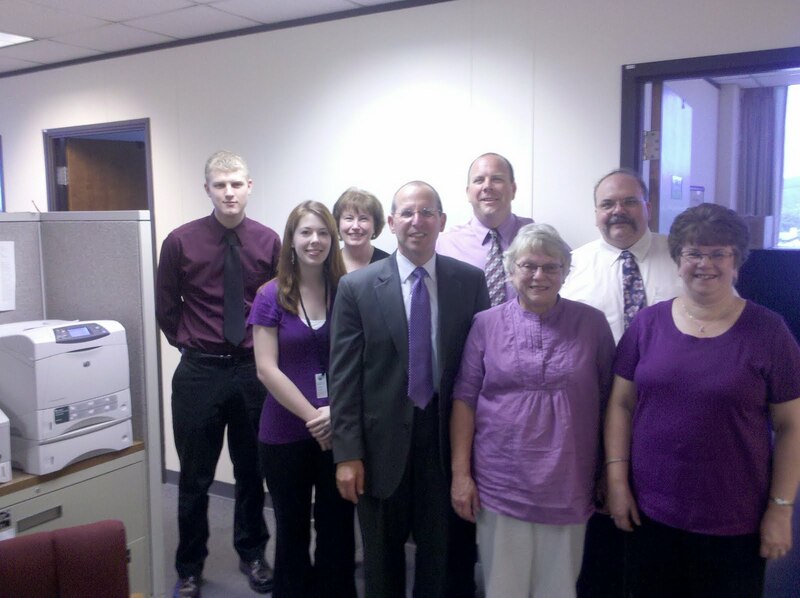 On Monday June 21, 2010 members of the Ulster County Office of the Comptroller became a PROUD PURPLE PARTNER as the Hudson Valley Alzheimer's Association launched their BIG PURPLE campaign in an effort to assist families that are struggling with Alzheimer's disease. 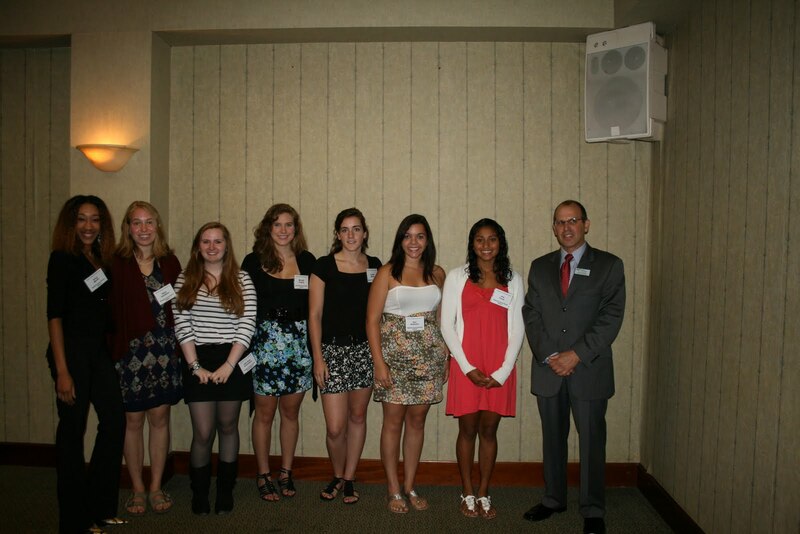 Our RECOGNIZING SUCCESS recipients at the Ulster County Chamber of Commerce breakfast. Nine high school students who are making a difference. ALBANY, NY (June 16, 2010) - Attorney General Andrew M. Cuomo today announced the arrest of an Ulster County employee for stealing auto parts meant for government-owned vehicles and filing false work orders to hide the theft. According to the complaint, Anthony Gallo, 44, of Saugerties, employed by Ulster County Central Auto garage as a Fleet Maintenance Facilitator, placed an order for auto parts but allegedly stole and installed them on a truck that he personally owned. Gallo then filed a false work order claiming he performed repairs on the County truck to hide the theft. Central Auto is a County garage where government-owned vehicles are repaired and maintained. Gallo was charged with Grand Larceny in the Fourth Degree and Falsifying Business Records in the First Degree, felonies that each carry a maximum sentence of 1 1/3 to 4 years in prison, as well as Official Misconduct, a misdemeanor, which carries a maximum sentence of one year in jail. Gallo was arraigned before Ulster Town Justice Susan Kesick and released on his own recognizance pending a court appearance on July 21, 2010. Additionally, the criminal complaint alleges that in November of 2009, Gallo replaced six tires on his truck with County tires. Gallo worked as a mechanic and an administrative supervisor, making and keeping business records including invoices and vouchers, at Central Auto from November 2006 to December 2009. Central Auto, located at 125 Maxwell Lane, Kingston, is responsible for repairing and maintaining government-owned vehicles. Attorney General Cuomo thanked Ulster County Executive Mike Hein and County Comptroller Elliott Auerbach, the New York State Police and the New York State Department of Motor Vehicles for their assistance in the investigation. The case is being prosecuted by Assistant Attorney General YuJin Hong and Assistant Attorney General in Charge of the Poughkeepsie Regional Office Vincent Bradley under the supervision of Special Deputy Attorney General for Public Integrity Ellen Biben. The charges against Gallo are merely accusations, and the defendant is presumed innocent until and unless proven guilty. KINGSTON, NY (June 15, 2010)… In a continuing effort to mine, audit and review data valuable to public policy decision making, Ulster County Comptroller Elliott Auerbach released a BY THE NUMBERS report on the Total Public Debt Outstanding in Ulster County. These 75 districts have a combined total debt outstanding (debt remaining to be paid over time) of $437,201,643. “We in government have a special obligation not only to monitor how much public money is spent and for what purposes, but to understand the extent to which our taxing districts are layered,” explained Auerbach. “When we understand the layering we can begin to explore opportunities for more inclusive and integrative processes for establishing debt policy at the community level,” said Auerbach. The report relies on data submitted by governmental entities which are required to file annual financial statements with the NYS Office of the State Comptroller. KINGSTON, NY (June 14, 2010)… Ulster County Comptroller Elliott Auerbach is pleased to announce the recipients of his 2010 Recognizing Success Program. Recognizing Success is an initiative that acknowledges the exceptional student who has stepped forward to “make a difference” in school or in the community. 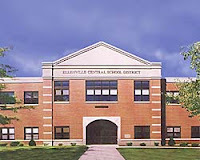 The Comptroller will be recognizing the students at the Ulster County Chamber of Commerce breakfast on June 17, 2010. Each student also received an award at their school awards ceremonies. Ulster County Comptroller Elliott Auerbach’s Recognizing Success program is designed to bring well-deserved notice and accolade to students whose efforts achieved a valued public purpose and, in so doing, demonstrated leadership among peers. 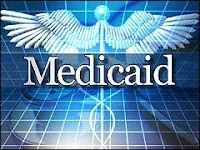 KINGSTON – Ulster County Comptroller Elliott Auerbach believes the county should be allowed to audit Medicaid providers. Auerbach, the self-proclaimed "people's watch-dog," said his office has joined with other county comptrollers across the state in calling for a revision of the law that currently restricts their offices from conducting a full-scale audit of the program. Auerbach said the NYS Department of Health's (DOH) directive does not grant local authorities the power "to conduct traditional audits, administer recovery of overpayments, or use provider sanctions." Since the county receives Medicaid claims directly from local providers and is financially responsible for almost 25 percent of each claim, Auerbach believes it should play a larger role in the audit process. New York's DOH grants comptrollers limited powers to audit. In 2008, some $1,300 of Ulster County's Department of Social Services (DSS) client monies had been reported stolen from its Medicaid spend-down program. In 2009, after taking office as Ulster County's first comptroller, Auerbach initiated an audit of the county program. The Medicaid spend-down program allows certain people to qualify for Medicaid — even if their income is higher than allowed under the eligibility criteria — by paying a portion of money out of pocket each month to the department. The amount of money collected from those clients can range between $25 and $500 a month, Auerbach said. The comptroller's audit revealed an additional loss of $3,424 in client monies, procedural lapses in cash management, and a lack of internal controls. Until the law that prohibits his office from a full audit of the program is repealed, Auerbach said he will use his resources "to audit what I can, where I can." The comptroller claims that Ulster County's DSS has made improvements in its accounting practices since the audit. "They've made some inroads, however, there still are some blind spots that we are not totally comfortable with and it truly has to do with internal controls," he said. KINGSTON, NY (June 1, 2010)… January 1, 2009 not only ushered in a new form of government in Ulster County, it also marked the beginning of Comptroller Elliott Auerbach’s effort to create an independent agency of the people serving to protect the public’s interest. “May 16th marked the 500th day of our new form of government here in Ulster County,” said the county’s first comptroller. It is a milestone for responsive and responsible government and we wanted to document the culture of change and use this indicator to look back, catalog our successes and track our thresholds” explained Auerbach. “500 Days of Accountability” is a comprehensive report of initiatives and outcomes the Comptroller has compiled that signifies the efforts he and his staff have undertaken to discover and report on the economy, efficiency and effectiveness with which County government is run. “We began our first few months authoring two reports on internal control practices within the County. That analysis identified several deficiencies, including a flawed financial management and reporting system. In addition, it brought to the surface the need to protect County staff with whistleblower protections, which the legislature subsequently acted upon” said Auerbach. The “500 Days” report lists a range of issued audits and reports from small cash counts to the massive review of the Ulster County Department of Health. “Our analysis of the Department of Health identified broad opportunities for improved processes and controls,” said Auerbach, “it also swept out from under the carpet the long-known need for control over nepotism – family hiring and working for family.” That report revealed how seriously dysfunctional government can become when a husband/wife team had unfettered control within the public domain. As a result of creating a Comptroller’s Blog, Auerbach has had real-time communication with taxpayers. His fraud prevention workshop for not-for-profit organizations was well received and Auerbach said his Comptroller’s Advisory Committee has challenged him to ask new and different questions of County operations.